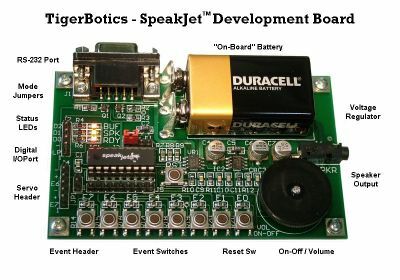 The SpeakJet Development Board is a "full-function" and "stand-alone" development board for the new SpeakJet Chip from Magnevation. 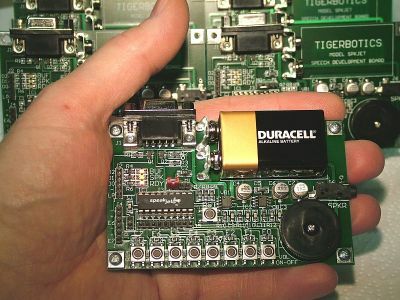 The board features surface mount construction and is very compact! Because of the small size, it can easily be installed in your target application once your speech development is complete. The board features switches and LEDs for directly exercising the chip during development and external connections to all chip functions for remote operation when development is complete. It is easily interfaced to a microcontroller, Basic Stamp, or Oopic when you are ready.